With over 2,300 students at Agoura High School, it is easy to overlook all the amazing talent. The Recognizing Charger program, a collection of Scholars, Artists, Athletes, and well-rounded Charger awards recognize the students that work hard but do not get the recognition that they deserve. Click on the categorizes below to nominate deserving people today! Chargers of the Month is a program that awards one deserving student and one deserving faculty member each month. 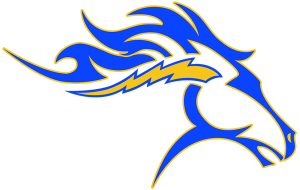 The Charger award can be given to any deserving individual for their hard work. Artist of the Month is a program that awards one deserving student each month. The Artist award can be given to any deserving individual in any of the art departments, including but not limited to: Theater, Music, Painting, Graphic Design, Fashion, Architecture and Sculpture. Scholar of the Month is a program that awards one deserving student each month for their hard work in the classroom.